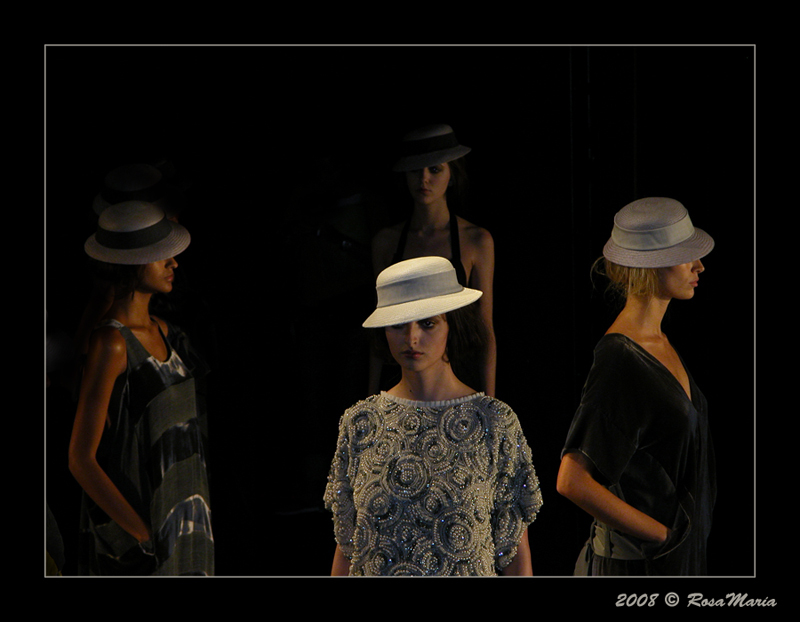 Photo "Sao Paulo Fashion Week 2008"
Taken today at the "Sao Paulo Fashion Week" one of the most important event of the fashion wear. Fine composition and great light. Excellent and very beautiful capture, my dear friend! These are the rules my dear, at the fashion world. The top modells cannot express any emotion....only show the clothes. What beautiful hats you captured! Fine capture with nice light. Excellent! Cap is beautiful. W.r.
A very interesting and unusual image!